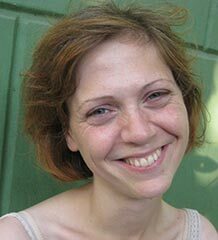 I am a social and cultural historian whose research focuses on the history of modern Europe and the Balkans, history of war and violence, and history of psychiatry. Before joining Exeter, I was a post-doctoral fellow at Birkbeck College. I received my PhD in history from Columbia University. My first monograph, 'Therapeutic fascism: Experiencing the violence of the Nazi New Order in Yugoslavia', has been published by Oxford University Press, and my articles have appeared in a variety of journals, such as the Journal of Social History, Social HIstory of Medicine, History of Psychiatry, Contemporary European History, and East European Politics and Societies. My first monograph, Therapeutic Fascism: Experiencing the Violence of the Nazi New Order in Yugoslavia - the winner of the Fraenkel Prize in Contemporary History and shortlisted for the RHS's Gladstone Prize - explores the development of psychiatric culture during and after the Nazi occupation of Eastern Europe, offering a fresh perspective on the history of mass violence in the 1940s through the prism of personal experience, and at the same time highlights the significance of this period as a key transitional moment in the intellectual history of psychiatry. The book sheds light on the effects of total war and revolution on the development of psychiatric and scientific concepts, and on the close relationship between psychiatry/psychoanalysis and political authoritarianism in twentieth-century Europe. It also explores the importance of personal narrative and testimony in writing the history of psychiatry and mental illness, and looks at psychiatric patients' experiences of wartime psychiatric environments. More recently, my research has focused on the creation of transnational scientific and psychiatric networks between Eastern and Western Europe. In my current project, I am exploring Eastern Europe as a vigorously contested site of internationalism in the Cold War, and use the history of psychiatry and psychoanalysis as a window into complicated professional and cultural exchanges across the Iron Curtain. My work thus aims to unsettle the traditional narratives of Cold War faultlines by focusing on unexpected alliances and collaborations across the great ideological divide. My article 'The pedagogy of workers' self-management: Terror, therapy and reform Communism in Yugoslavia after the Tito-Stalin split' has been published in the Journal of Social History. Moreover, my research not only traces the development of transnational medical and psychiatric links within Europe, but also places Europe in a broader, global context by exploring the history of 'Communist internationalism' and its global medical networks in Eastern Europe and Africa. By exploring the connections between the 'second' and 'third' worlds after 1945, I look at the concept of transcultural psychiatry and its multiple definitions and uses in the context of socialist globalisation and Cold War internationalism. I have recently completed an article titled 'Imagining Africa in Eastern Europe: Transcultural psychiatry and psychoanalysis in Cold War Yugoslavia', which will be part of a special issue hosted by Contemporary European History in autumn 2018. I am currently preparing a book manuscript tentatively titled 'Non-aligned psychiatry: Revolution, emancipation and re-imagining the human psyche in Cold War Europe,' and in September 2018 I will take the Research Fellowship of the Imre Kertesz Kolleg of the University of Jena in order to finish the book. At the moment, I am holding a British Academy Rising Star Engagement Award for my project on 'Children and Politics: Violence, Re-education and Citizenship in the Twentieth Century'. The project looks at different conceptualisations of children and childhood in the context of extreme political events, and explores how historical actors understood and responded to the effects of political ideologies and political violence on children. The twentieth century has been marked by the figure of a deeply politicised child, conceptualised alternatively as a victim and as a political liability, and a variety of strategies emerged for dealing with this all-pervasive politicisation. This project has explored historical perspectives on children as agents and victims of politics, in order to shed light on the contemporary crisis. I am currently embarking on a new, Wellcome-funded research project focused on the early history of transcultural psychiatry and the emergence of the concept of a 'global psyche' in the aftermath of WWII. This project, titled 'Decolonising madness? Transcultural psychiatry, international order and the birth of a global psyche', seeks to intervene in the current debate on the universality or otherwise of mental illnesses and psychiatric techniques by providing a much needed historical perspective on the globalisation of psychiatry in the twentieth century. This project challenges the idea that the concept of a global psyche and universal humanity is a recent development, and aims to demonstrate that it emerged in the aftermath of WWII and during decolonisation. At that time, Western psychiatry attempted to leave behind its racist and colonial legacies, and lay the foundation for a more inclusive union between Western and non-Western concepts of mental illness and healing. In this period, leading psychiatric figures across the world embarked on identifying and debating the universal psychological characteristics and psychopathological mechanisms supposedly shared among all cultures and civilisations. My research explores this psychiatric, social and cultural search for a new definition of 'common humanity', and analyse the core historical driving forces behind it. I am interested in supervising research students in a variety of fields in modern European history, especially the history of war, violence and genocide; the history of psychiatry and psychoanalysis; the history of children and childhood; the history of communist and fascist internationalisms; the history of Eastern Europe, socialism and the Cold War, and other related topics.